Riding and owning a bike is nothing like owning a car. Whether it be driving or maintenance, there's a lot more to consider. Below are our essential tips for anyone new to the world of biking. Bikes are naturally unstable, and the primary things keeping them upright are two small patches of rubber. Check tyre pressures, wear patterns and tread depth at least once a week. Neglect them and wear/performance suffers. Buy tyres appropriate to your bike, riding style and weather conditions, and don’t just look for the cheapest option. Get the best quality and most up-to-date tyre you can. Check your oil regularly – every 500 miles. A 125 with a one-litre capacity can burn it all in 1000 miles if used hard, and older, higher-mileage bikes tend to consume more. Always have a supply of the same brand or grade of oil to hand for top-ups, and consult a manual on how to check the oil correctly. 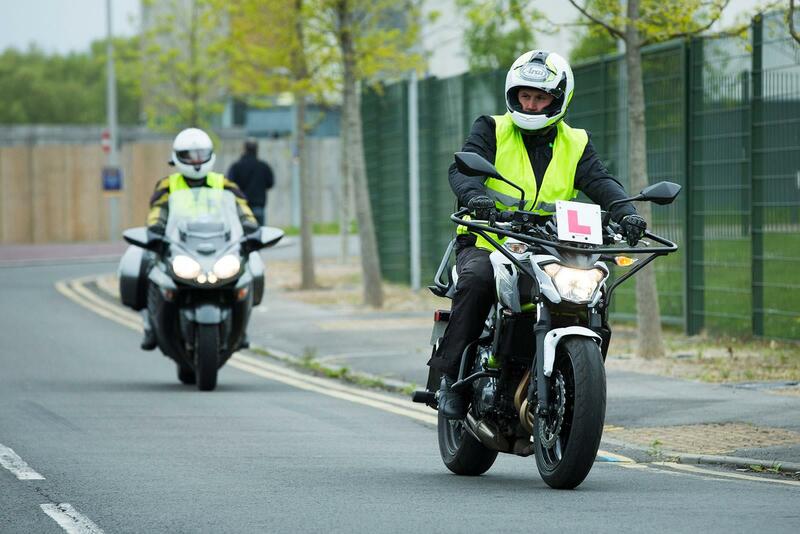 But also be good to it on start up – bikes are more highly strung than cars, so they appreciate a bit of warm-up time. Too many riders don’t wear earplugs on the bike. Anything more than slow town speeds is enough to affect hearing – wind noise attacks hearing over time, but a simple pair of foam ear plugs will drastically reduce hearing damage. Comfort is not an excuse – buy several kinds and pick the best. You soon get used to them and after a while you’ll feel naked without them. Final drive chains and sprockets have a grueling job, yet all they ask is to be cleaned and lubed. Every 500 miles is a good time to clean off old lube (a good degreaser, toothbrush and a rag will do the job), then lube from the inside run, being careful not to over-apply. Smear a little on the side plates to prevent corrosion, but it’s the moving joints and rollers that need lubrication. In the current dash cam culture, many seek to point the finger of blame after incidents, but that doesn’t help when you’re sprawled in the road. Hone awareness, give yourself as much visibility as possible, and don’t get overly familiar with roads – treat hazards with the same caution every day, and avoid problems in the first place, rather than just having video to show afterwards. Spend a few minutes adjusting lever heights (your forearms, wrists and back of the hand should be in a direct line in your natural riding position), lever span and clutch freeplay, plus setting foot controls so they’re easy to use. The gear lever should be comfortable to shift up or down positively. The rear brake pedal should be set so your right foot hovers just above it. Slipper clutches, quickshifter, ABS, traction control... they’ve all made riding better. But they don’t exist to fix poor riding. ABS and traction control systems are sophisticated these days, but they will work even better if you’re smoother and more considered with throttle and brake control – abrupt input forces the bike to rein you in. Riders of any ability can appreciate suspension working properly – if you think there is a handling or ride quality problem, seek expert advice. The same goes for tyres – there’s lots of good tyres around, but different people like different things, and there’s a tyre for every job – if you think something isn’t right with your bike, get the right help to make sure it is. The internet has given everyone a voice. The pub know-it-all who used to spout crap to a few people now has access to millions. Don’t accept someone else’s opinion unless they can prove their experience. Specialists spend years honing their skills and researching – make sure you’re listening to the right people.